It's understandable that Hidden Figures would be met with cynical presumptions. The marketing seems to offer a fairly formulaic feel-good movie about racial and gender equality with a spunky cast and a triumphant ending; the kind of stuff mainstream audiences tend to flock to, and are, for that reason, rarely produced with much creative vigour. Certainly the marketable PG rating and token casting of 'uplifting-true-story' poster-children Kevin Costner and Octavia Spencer don't seem to offer much of a rebuttal to eye-rolling apathy. And while it's true that Hidden Figures walks on a well-trodden road, it's a surprisingly engaging little flick. 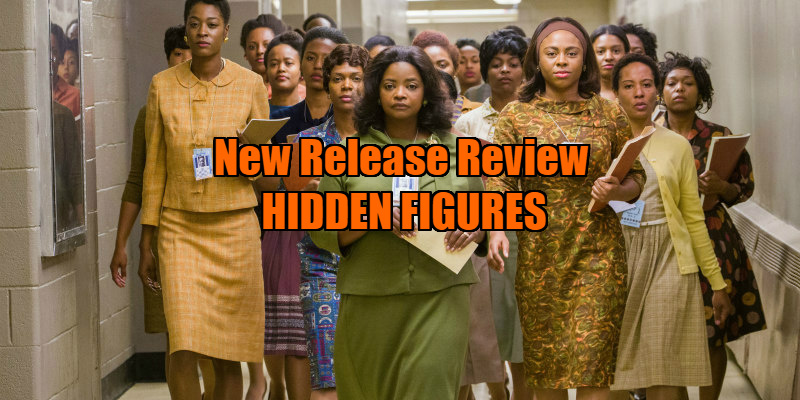 Largely thanks to strong performances, Hidden Figures charms despite its predictability, and even the very cynical may find this film to be genuinely disarming in its appeal. 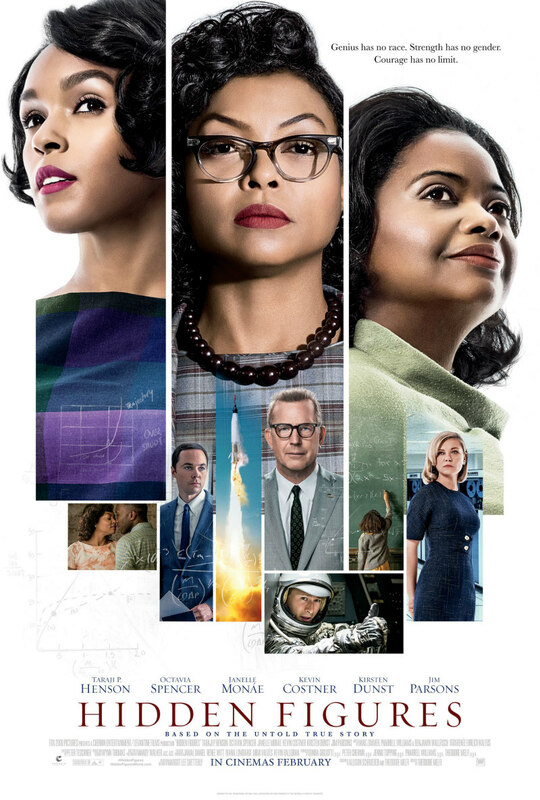 Loosely based on true events (and a non-fiction book by Margot Lee Shetterly), Hidden Figures tells the story of three African-American women working at NASA in the '60s, each with their own hopes and dreams that are seemingly prohibited by racial and gender prejudices. It's hardly surprising how the movie will end (and the epilogue and real-life pictures of the women involved are just as expected), but Hidden Figures is an upbeat delight; a feel-good movie that does exactly what it says on the tin. While some will dismiss Hidden Figures as simply a thinly veiled off-shoot of 2011's The Help, there's a genuine good-naturedness to the affair that makes this irresistibly smile-inducing, while also avoiding some of The Help's pitfalls (namely reducing the 'white savior' notion). The performances are really key in elevating the material (Theodore Melfi's direction and co-written screenplay are each competent, but unexceptional). The three leads - Taraji P. Henson, Janelle Monae and Spencer - are each strong. Spencer has been seemingly delivering the same performance ever since winning the Oscar for it in The Help (and if the trailers for The Shack and Gifted are any indication, she has every intention of continuing), but she's so likable it's hard to criticise it too badly. The supporting cast (including Costner, Jim Parsons, Mahershala Ali and Glen Powell) are all solid, with Kirsten Dunst standing out the most, giving an effectively low-key performance as supervisor Vivian Mitchell. Hidden Figures has all the expected problems, including an abundance of cliches and shamelessly manipulative scenes throughout. But by some miracle, the film works. It's utterly pleasant and warmly touching, while eliciting a genuine feeling of triumph that so often rings false in similar efforts. Despite its Best Picture nomination, Hidden Figures is not one of the year's great works. But it would take a near-heartless soul to not find favour with it. Hidden Figures is in UK cinemas February 17th.